I stayed up way too late last night decorating the house. Not for Christmas (although that will come soon enough), but standing on tables and chairs to hang all the decorations I could find to make today special. Today, our girl turns 7, and over the years I’ve discovered that she loves celebrations. Which means staying up late to decorate, even though we had already had a family birthday party for her over the weekend. It’s not the same, right? Especially as a kid, I remember wanting the actual DAY to be special, too. It’s easy to celebrate Madi. For the past 7 years we have watched her become and incredible person. She is brave, smart, and kind. She respects people and when she loves someone, she loves them with all the big emotions her little body can hold. She inherited her daddy’s sense of humor and my strong desire for justice (and a love for rearranging furniture). She is a talented artist who loves making gifts for people. When she’s good at something – like soccer, or swimming – she goes ALL in. When she’s afraid she can’t do it or that someone else might do it better than her, she hesitates and watches from the sidelines. Like me, she gets embarrassed for other people easily. There are some big decisions she made over the summer that made us so proud, but she doesn’t want us to share it because she might love a celebration, but she hates too much attention. Unless she decides it’s ok, like joining the kids worship team at church where she doesn’t mind standing on stage singing and dancing. 7 years ago she decided to arrive on her own timeline, making a surprise entrance into the world, and our lives have never been the same. You are exactly the daughter God knew we needed in our family. We love every part of the person you are becoming, and celebrating you is one of our favorite things to do. Today our prayer for you is that you would stay close to God, choose kindness always, and never be ashamed of the gifts God has given you. 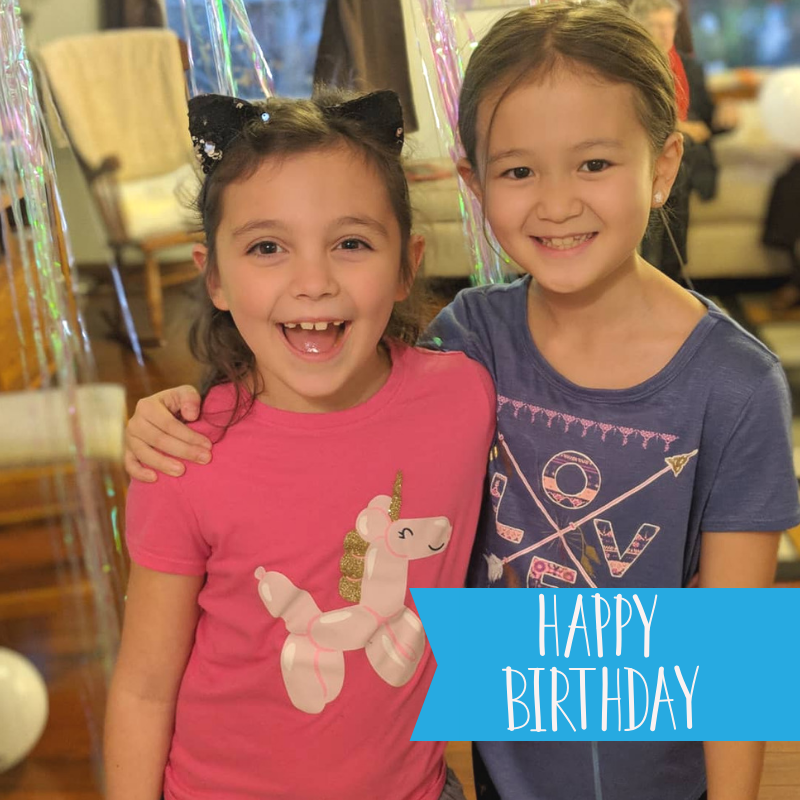 You, sweet girl, are the best gift we’ve ever received, and we love celebrating you, every day. We’re so proud of you.